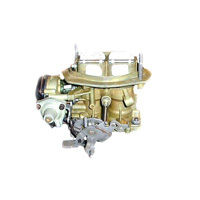 Holley 5200 and 6500 series carburetors were Holley-produced versions of Weber staged two barrel designs. Ford and Mercury used the 5200C and 6500C; AMC and General Motors applications used the 5210C and 6510C; Chrysler, Dodge and Plymouth used the 5220C and 6520C. The 6500 series were feedback (computer controlled) carburetors.